The original Columbus Street Bridge, completed in 1836, was the first permanent bridge over the Cuyahoga River. It provided a direct route to Cleveland Center from the Medina & Wooster turnpike (Pearl Road). 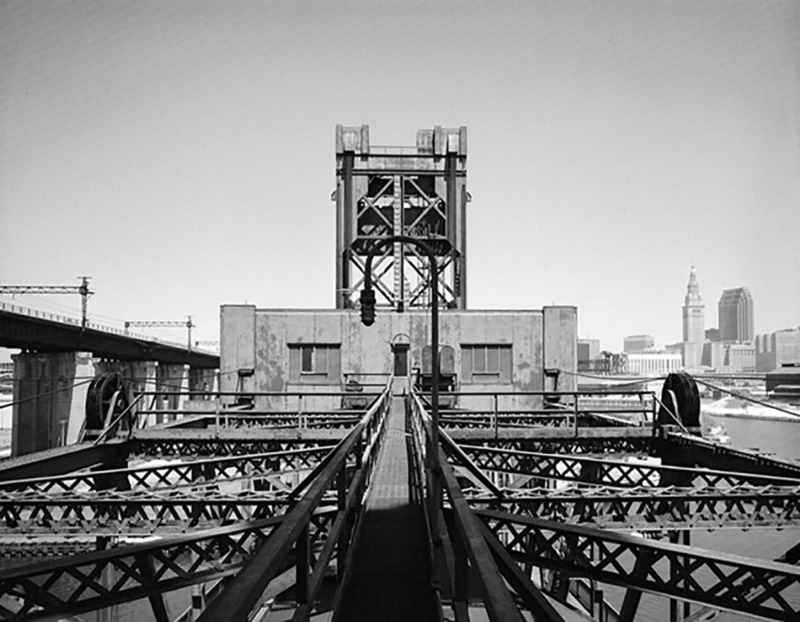 The bridge promoted commercial development of Cleveland at the expense of Ohio City. 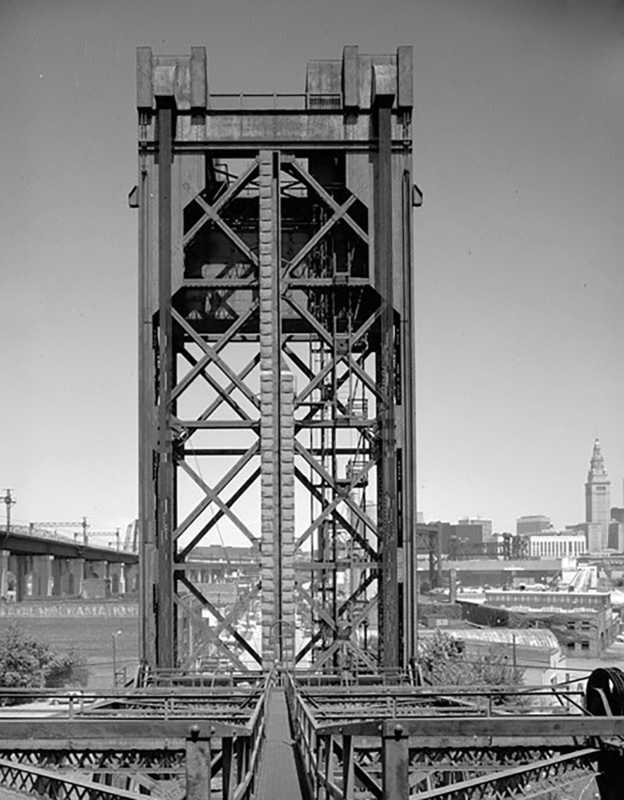 Travelers could now bypass Ohio City entirely by crossing into Cleveland over the new structure instead of using the old floating bridge owned jointly by Ohio City and Cleveland. Seeing their trade diverted to Cleveland, Ohio City residents boycotted the new bridge, and in retaliation, Cleveland City Council had their half of the floating bridge removed in June 1836, instigating the so-called “Bridge War”. Rallying to the cry of “Two Bridges or None,” west siders resorted to various forms of retaliation, including an ineffectual powder explosion. On October 31st, 1836, a mob of Ohio City residents armed with guns, crowbars, axes, and other weapons set off to finish the destruction, only to be met by Cleveland mayor, John Wiley, and a group of armed Cleveland militiamen. Three men were seriously wounded in the ensuing riot before the county sheriff arrived to end the violence and make several arrests. A court injunction prevented any further interference with the bridge, and the courts resolved the issue by ruling that there should be more than one bridge crossing. The bridge stayed and an upgraded replacement bridge was constructed in 1870, but the Columbus St. Bridge ended any hopes of Ohio City rivaling Cleveland. The old Columbus Street bridge was replaced by an iron bridge in 1870. After that, a double swing bridge - then the world's first - took that bridge's place. 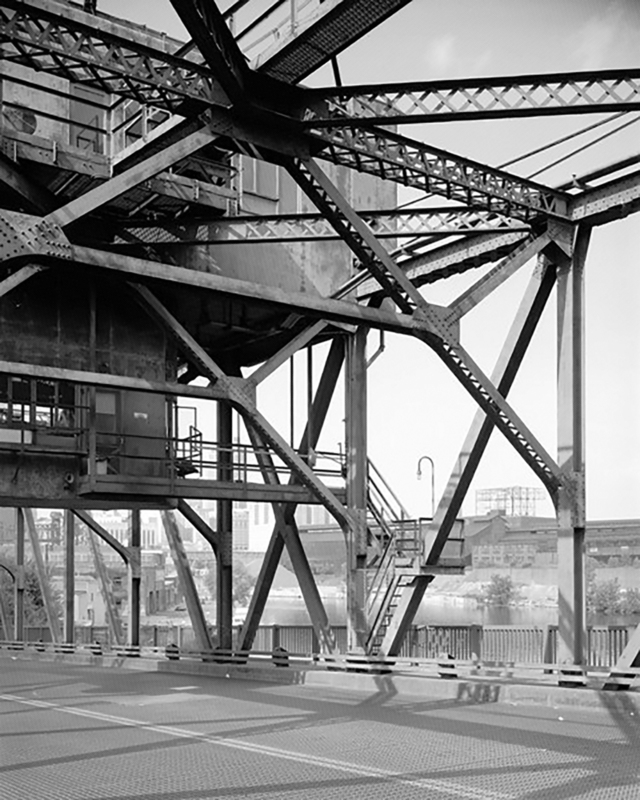 Finally, in 1940, WPA workers installed a steel lift bridge on Columbus Road. The fourth Columbus Road bridge was closed 2013 and its span torn out and scrapped, after inspections determined it was in serious condition. Some floor beams and gusset plates were rated critical and lifting components were rated poor. Salvaged wood decking from the Columbus Road Bridge was acquired by Old School Architectural Salvage and later Rustbelt Reclamation in 2014. The reclaimed lumber has been used in several projects by Rustbelt Reclamation in the past year (project images coming soon). 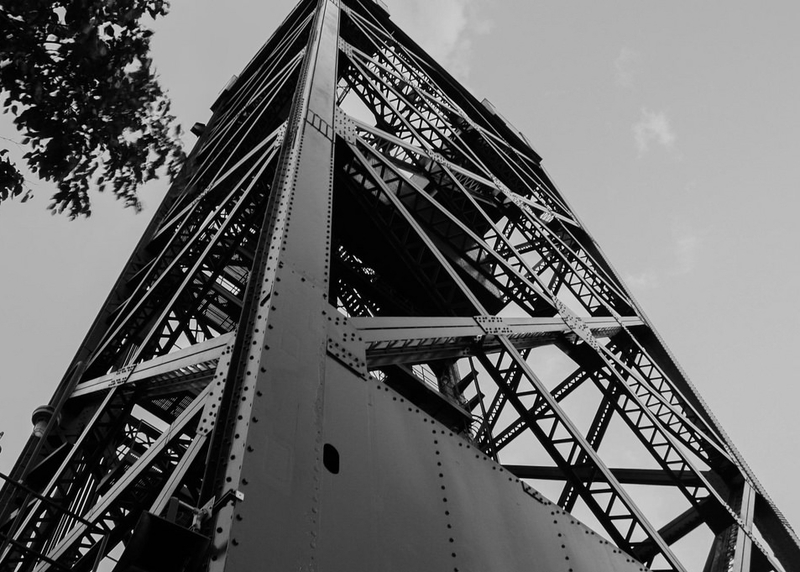 TranSystems was contracted by Cuyahoga County Engineer for a study, rehabilitation and partial replacement, and construction owner's representative services for the Columbus Road Lift Bridge over the Cuyahoga River. 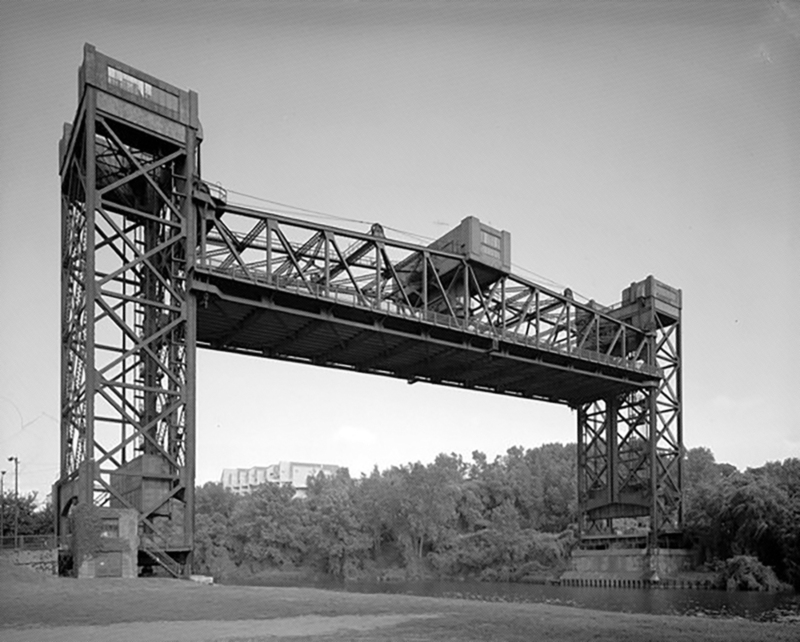 Portions of the 1940-built bridge were in serious condition and it was identified as a Select Bridge in ODOT's Ohio Historic Bridge Inventory, and determined eligible for the National Register. 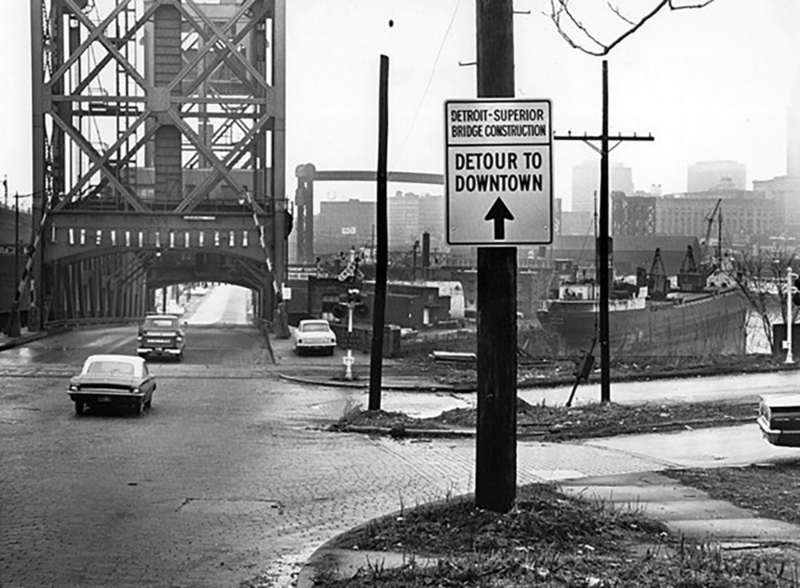 The original Columbus Street Bridge is long gone, but speak to any Clevelander and they will tell you - While we no longer resort to mob brawling the rivalry between the east and west sides of Cleveland still remains.